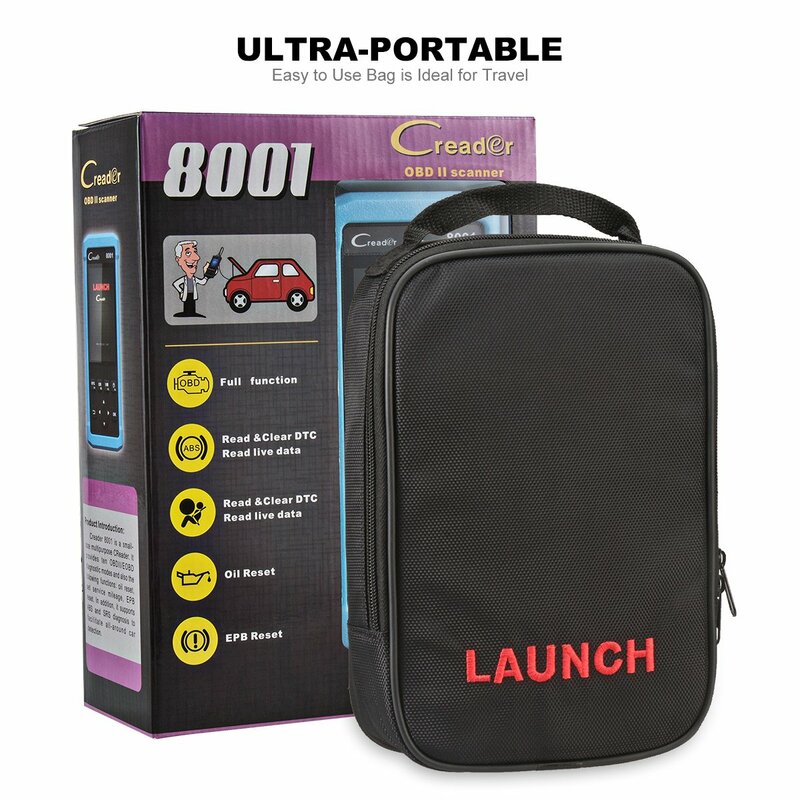 FULL FUNCTION OBDII SCANNER: The code reader Launch CReader 8001 provides full OBD and EOBD diagnostic functions and reads common protocols such as ISO9141-2, ISO14230-4, SAEJ1850, and ISO15765-4. Works on all OBDII compliant vehicles manufactured since 1996 (1996 to Current). The diagnostic scanner can help you diagnose your car, and read the fault diagnostic code, show what’s wrong with your car. POWERFUL FEATURES: Full OBDII/EOBD Diagnostic Functions, including - Read & Clear DTCs, ABS and SRS, Oil Light and EPB Reset, Query Freeze Frame Data, Read Dynamic Datastream, Read Vehicle Information, O2 Sensor Test, Evap Systems Test, On-board Monitor Test, Read Pending Fault Code, Read Permanent DTC, Read Readiness Status, Turn-off Malfunction Indicator Light (MIL), Print Data to PC, Permanent Code Retrieval, and more. 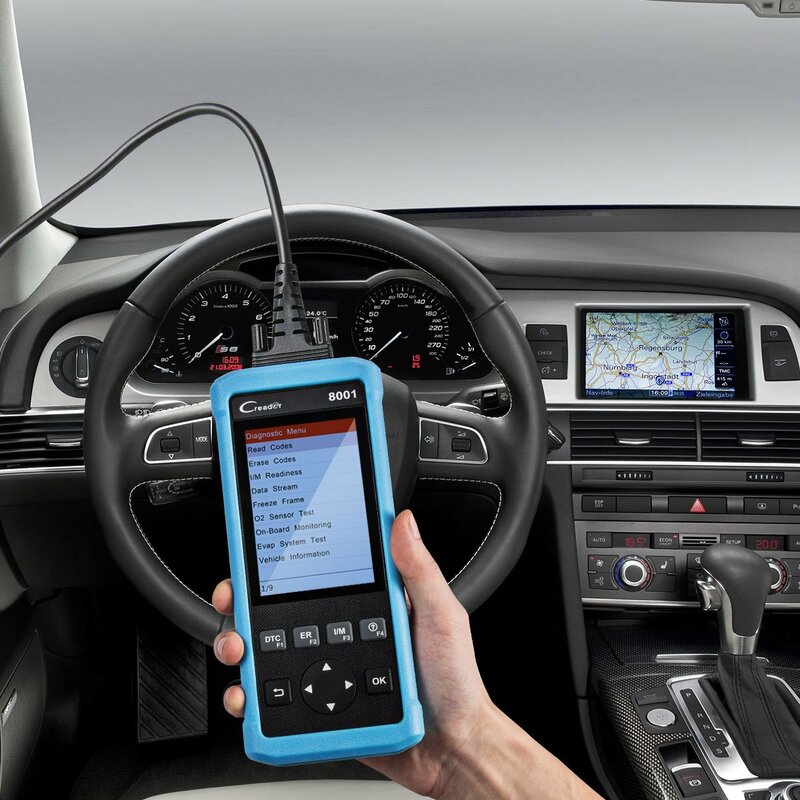 ALL THE LATEST TEST MODES: This obd2 scanner includes all the latest OBDII test modes (modes 1 to 10), including full on-board monitor testing. Save and review test data, with the ability to view and graph the datastreams. DIAGNOSE, RECORD, REVIEW: You can do realtime DTC and datastream testing, and you can also record all the scanner testing and review all the data with this scan tool. You can even print out the results on your computer printer so you can talk about the results later with your friends or fellow mechanics. SMART DESIGN: Color viewscreen and smart hotkeys make this automotive scanner an ideal tool for professional technicians as well as knowledgeable mechanics who do car maintenance work at home. Comes with all the accessories you need to get started using it right away. CReader 8001 is a small-size multipurpose code reader. It provides ten OBDII/EOBD diagnostic modes and also the following functions: oil reset, set service mileage, EPB reset.In addition, this scan tool supports ABS and SRS diagnosis to facilitate all-around car detection. 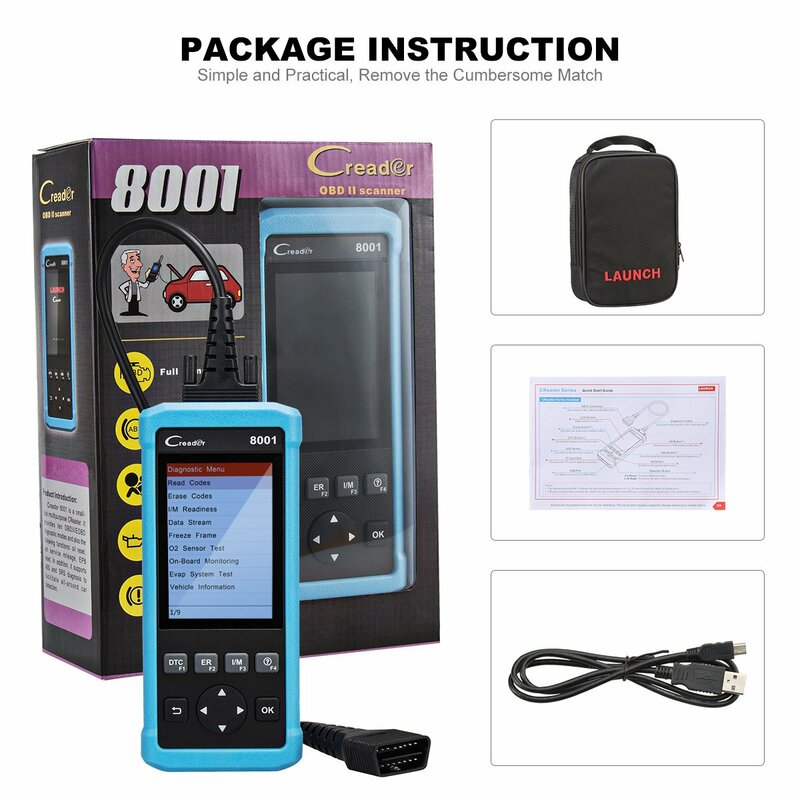 This obd2 scanner CReader 8001 makes it a very easy way to provide you with fault diagnosis codes, it can test all after 1996 OBD II vehicles. Even though it is compatible with most cars from 1996, but some car is with special design, so its partial functions may not be compatible with some cars. If you are not sure whether it is compatible with your car, please feel free to contact us. We will check it for you.